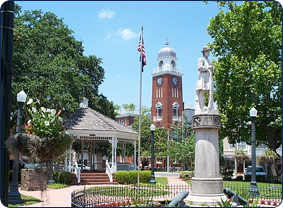 My Decatur Plumber, Your trusted Decatur Plumbing Company! My Decatur Plumber experts deliver full scale plumbing repair services, including whole-house repiping, gas piping, sump pumps, kitchen plumbing, low flow toilets, hydro jetting, main water lines, water heaters, drain cleaning, water treatment systems and pool heaters, among numerous other products and services. In short, we can handle anything plumbing related: from installation to replacement, repair to maintenance. Let us take care of your home or business. Call us today for all of your plumbing needs in Decatur. We've been in business for over 40 years, serving the Decatur area and surrounding areas. Our expert Decatur Emergency Plumbing Technicians are available 24 Hours 7 days a week. Our certified Decatur plumbers will tend to your water or gas problems, promptly and competently! We do it all! Including Sink Repair, Faucet Repair, Water Heater Repair, Garbage Disposal Repair and Water Heater Replacement. Faucet Installation, Tankless Water Heater Installation, Toilet Installation, Garbage Disposal Installation. My Decatur Plumber © 2014. For 24/7 Decatur Plumbing - Call 404-876-7733.